Peltier technology is intelligently applied to the sample chamber of the new polarimeters so that measurement can be accurately made without the need of an external device such as a waterbath to control sample temperature. The ADP600 Series Polarimeters have two preset operating temperatures being 20 and 25 °C in accordance with European and United States Pharmacopoeia respectively and other user temperatures between 20 and 30°C may be configured via the instrument user interface. ADP600 Series Polarimeters accept standard glass or special low volume leur taper polarimeter tubes facilitating measurement across optical path lengths between 5 and 200m with tube diameters from 3 to 8mm being readable. Optional lids may be easily be fitted to the ADP600 Series Polarimeters, facilitating sample tube entry and exit. Integral to operational simplicity is the full color, high definition, touch-screen graphical user interface. A menu structure featuring a METHODS system makes for one-touch calibration and instrument configuration; especially where the specific rotation of a number of samples is being analysed over a wide range of concentrations, path lengths, temperatures and wavelengths. 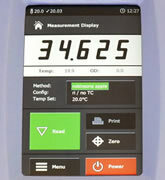 A "Mean Method" is also available, allowing a number of readings to be taken from a production batch with the mean being calculated and recorded once the experiment has been completed. The Mean Method is ideal for pharmaceutical applications where compliance with pharmacopoeia is required. 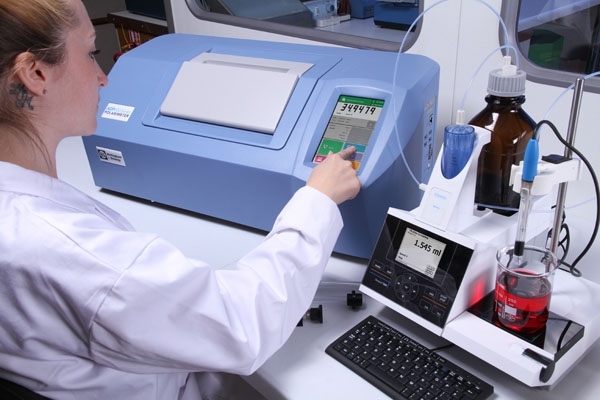 The METHODS system is also very similar to that of the wide ranging RFM900 Series of high accuracy Peltier controlled refractometers that are in common use throughout the flavours, fragrance, chemical and pharmaceutical industries. The ADP600 Series on-board RFIDRFID user clearance is also standard in the ADP600 Series Polarimeters. Similar to the ADP440+ Polarimeter, which was the first instrument of its type in the market to offer swipe tag user clearance, the ADP600 Series on-board RFID reader may also be used to feed tube lengths and concentrations to the instrument for recording and in particular, calculation of Specific Rotation. 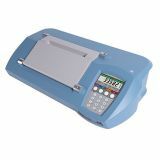 ADP600 Series Polarimeters have an extensive interfacing capability. Four USB ports provide excellent connectivity to, for example, convenient remote keyboards, printers, barcode readers and LIMS or PC, whilst the Ethernet connection may be used for networking as well as remote diagnostics or certification. 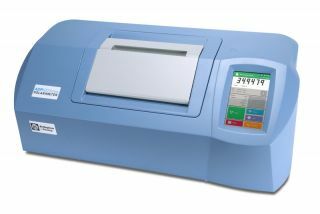 Additionally the ADP600 Series Polarimeters feature a secure "print to PDF" function that may be configured to operate in secure environments in accordance with FDA regulation 21 CFR Part 11 and importantly, the ADP600 Series polarimeters meet all of the requirements, including wavelength directives of British, United States, European and Japanese Pharmacopoeia. Power Supply 100-250V~, 50-60 Hz. <6A. A full range of accessories is available including low volume, standard and flow through sample tubes as well as UKAS-certified quartz control plates traceable to ICUMSA and PTB for verifying instrument performance. Validation documents (IQ/OQ/PQ) are also available.